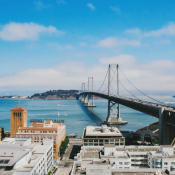 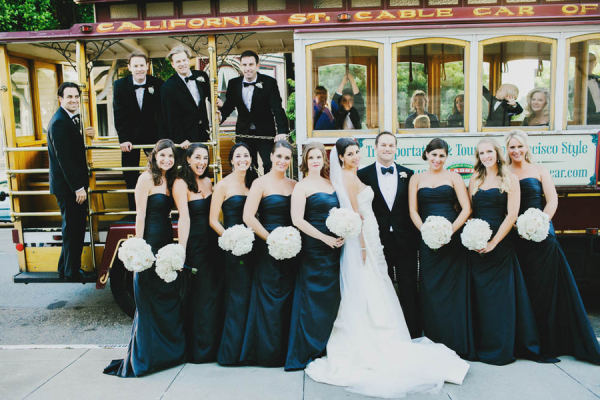 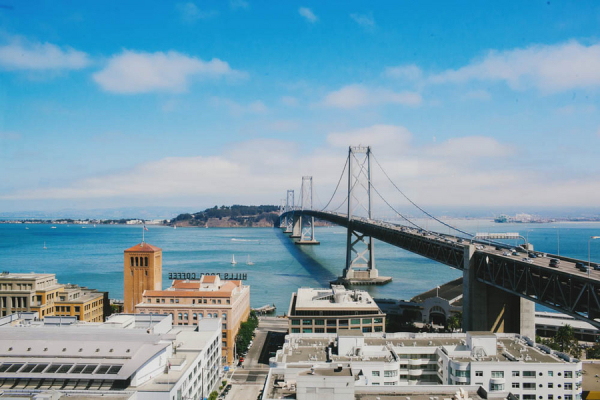 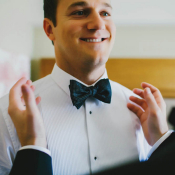 We’re crushing pretty hard on Jennifer and Matt’s breathtaking San Francisco wedding in all its sleek black and white glory! 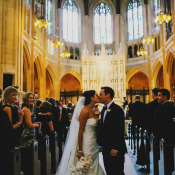 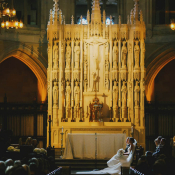 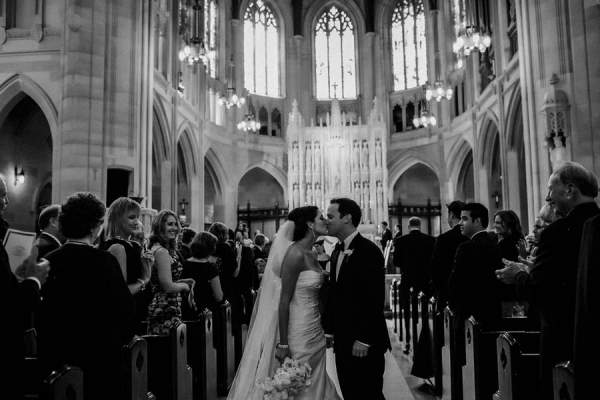 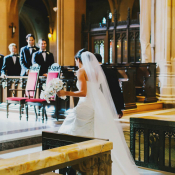 The ceremony, held at St. Dominic’s Catholic Church, was a vision of structured elegance–starting with Jennifer’s mod Romona Keveza Collection gown (that back sash!) 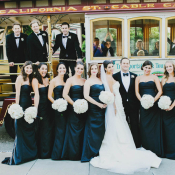 from Bridal Galleria and floor-length black Bill Levkoff dresses on bridesmaids. 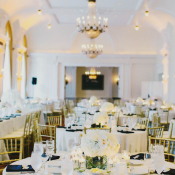 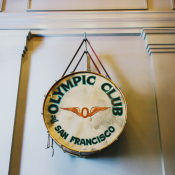 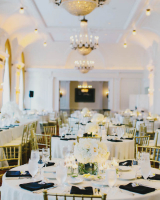 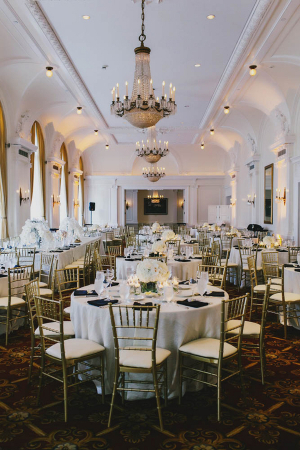 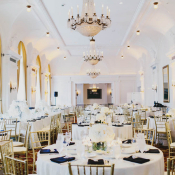 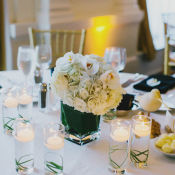 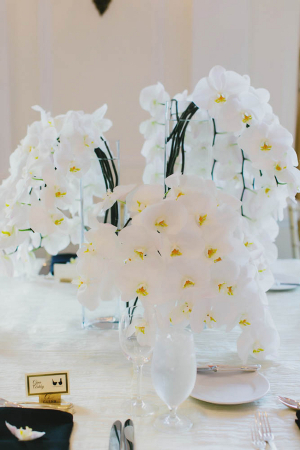 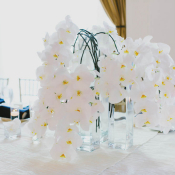 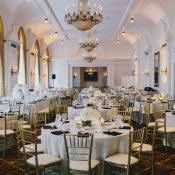 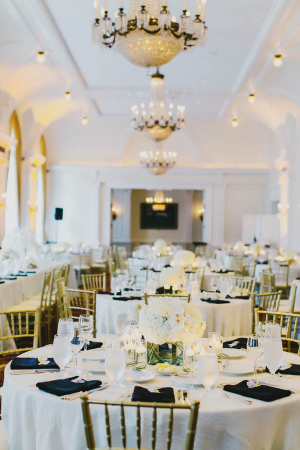 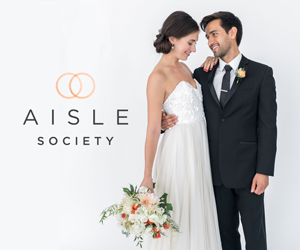 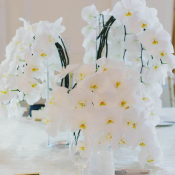 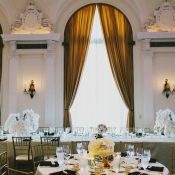 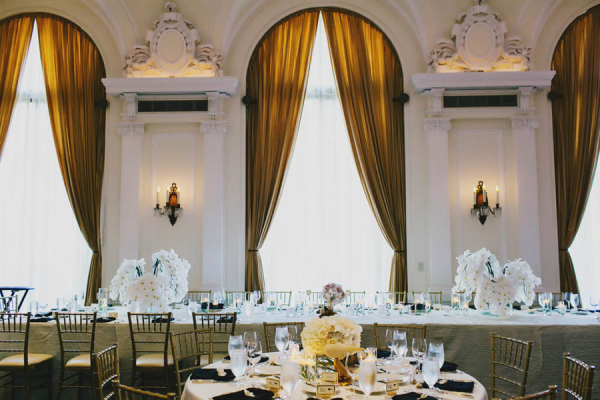 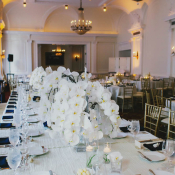 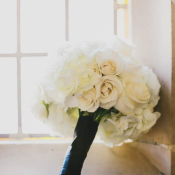 The black, ivory, and gold reception at The Olympic Club featured all white florals from Asiel Design, including centerpieces of cascading white orchids that are simply stunning. 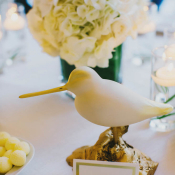 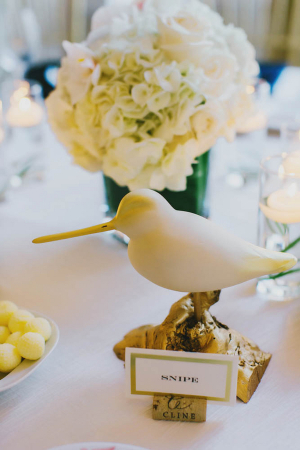 We love the personal touch of hand-carved shorebirds on the tables, done by Jennifer’s decoy carver father. 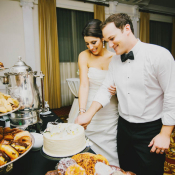 A dessert table with confections from SusieCakes lent an air of fun to this sophisticated affair. 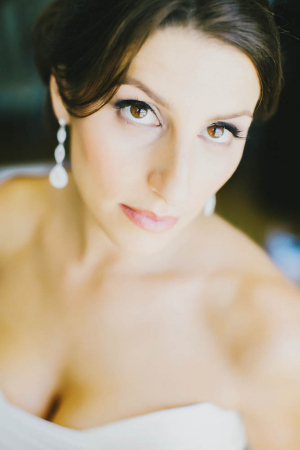 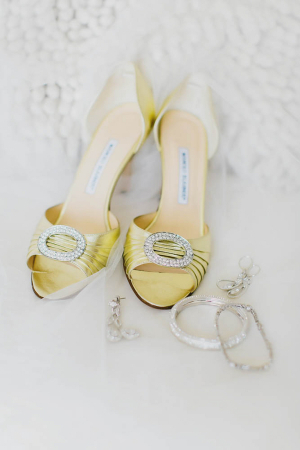 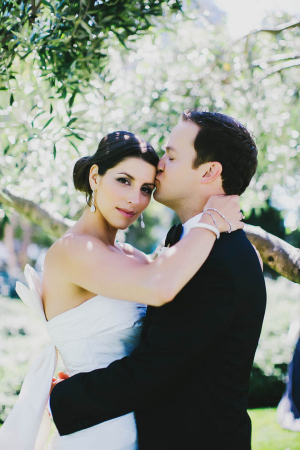 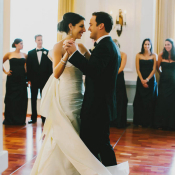 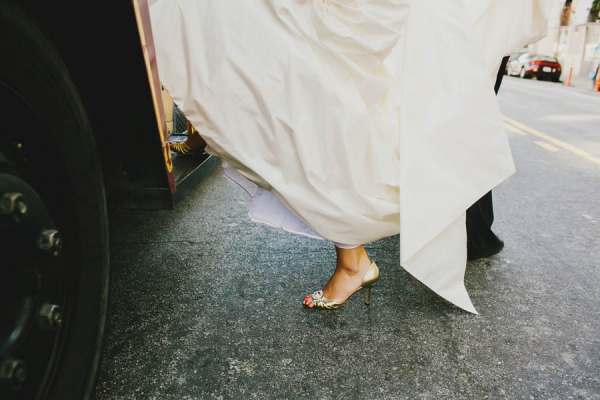 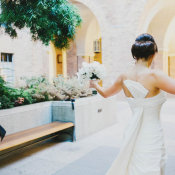 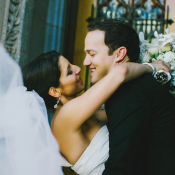 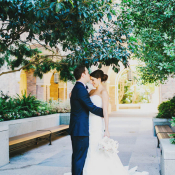 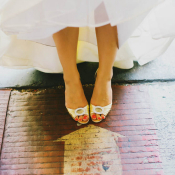 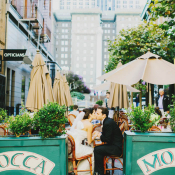 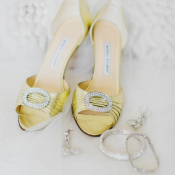 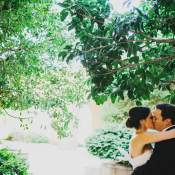 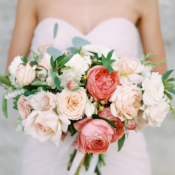 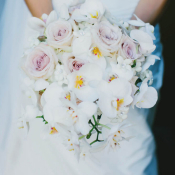 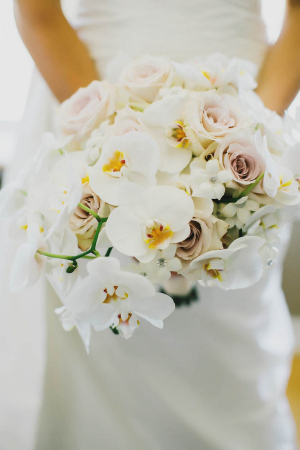 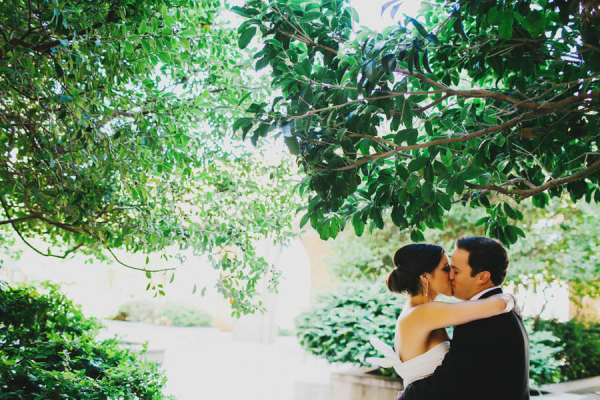 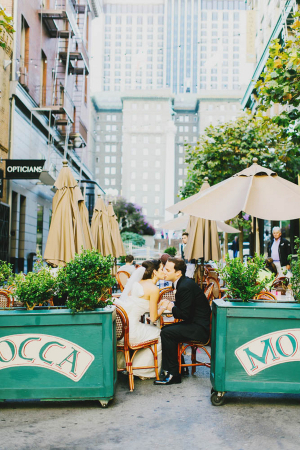 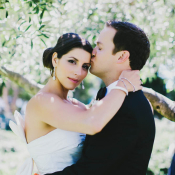 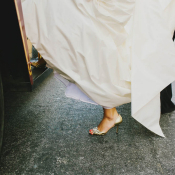 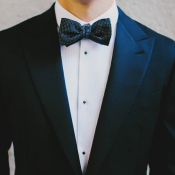 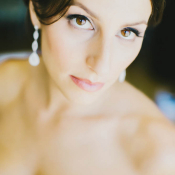 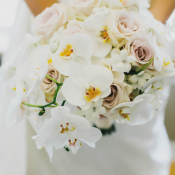 These images from Milou + Olin Photography are just flawless. 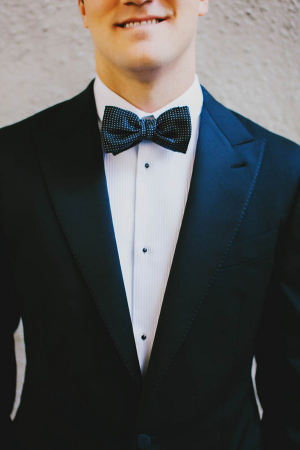 Don’t miss a single detail!